At Roffey Commercial Carpet Cleaning I understand you must retain tight control of costs but still deliver an effective cleaning program. Commercial carpet cleaning needs to be completed on time and on schedule so as not to disrupt the smooth running and daily operation of the business. This is why Roffey Cleaning offers its Southend Commercial customers a 24 hour cleaning service. Whenever is best for your business, I will arrive and carry out out work quickly and efficiently, to the highest standards. I carry out all Carpet Cleaning myself which enables me to ensure the quality of all work. I value my reputation highly and, as my clients know, the results I achieve are of the highest standard thanks to many years of experience and top quality gear. 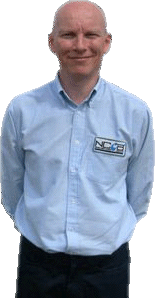 I have invested in the most effective and thorough Carpet Cleaning system available for both domestic and commercial carpet cleaning, as recommended by the NCCA (The National Carpet Cleaners Association) of which I am am an accredited member (2113). This system is designed primarily for low profile commercial carpets. It is also a low moisture system which, as the name suggests, requires very little drying time. This is vital for busy commercial premises and business owners who simply cannot afford to wait hours and hours for the carpets to dry. This system produces amazing results and most carpets cleaned using this method will be dry in just 30 minutes. Just what you want for your business. I am fully aware of the health and safety requirements of carrying out carpet cleaning in commercial environments and, where applicable, I follow all codes of conduct, display appropriate signage and wear recognisable clothing. If your building has door staff or a receptionist I am happy to co-ordinate my visits with them, or if necessary I can secure the building upon departure. We have been helping many businesses in the Southend-on-sea and the surrounding areas maintain their high operating standards for many years and Roffey Cleaning has become a trusted name in professional carpet cleaning right across Essex. Our 24 hour carpet cleaning service means you can book our services at a time to suit you, with absolutely no disruption to your staff or customers. We provide carpet cleaning to business premises at flexible hours to suit the requirements of your business. Our commercial carpet cleaning service is used by customers across Southend on Sea and across Essex. We provide carpet cleaning in offices, shops, leisure centres, nightclubs, conference venues, hotel common areas and rooms, school carpet cleaning and even universities benefit from our professional cleaning services. We can tailor our service to suit your needs, so whether you operate across multiple storeys of a large building or run a small, quiet office, we’ll provide the best carpet cleaning solution for you at a price you’ll love. Call us today to find out more or book our services and to let us help you improve the appearances and hygiene standards at your business premises today. Don’t take my word for it, I can demonstrate for you.